So since we’re in the middle of a Canada Day crunch, we obviously wanted to emphasize “quick” ideas that you could make at the last minute. 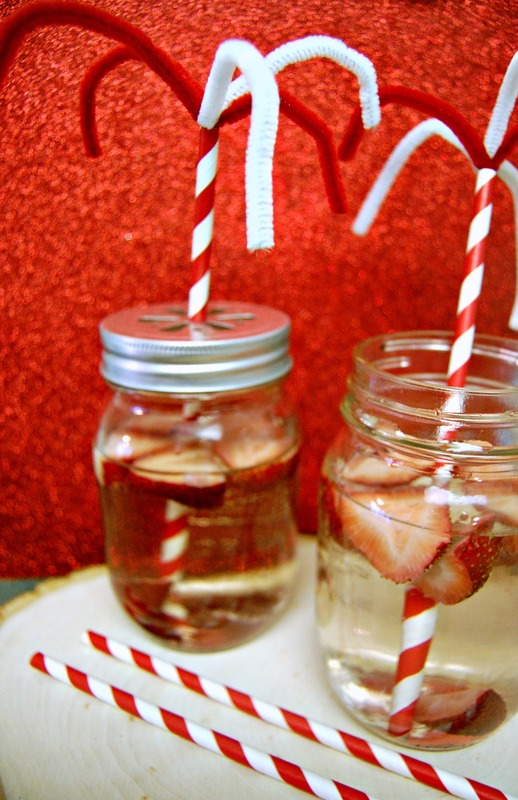 This one is actually one of my favourites for drinks because while it seems a little TOO easy, we pulled similar ones out at a New Years party with the label “firework stir sticks” and people went CRAZY over them. I think once people see them with the idea that they’re “fireworks” it’s super fun. 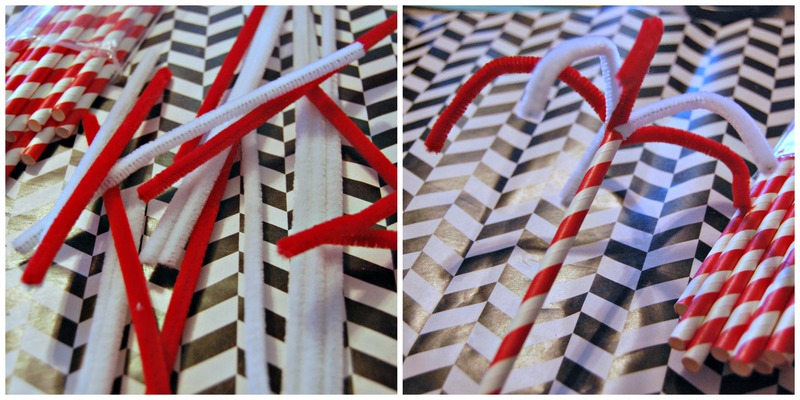 Use your scissors to cut your pipe cleaners into smaller sections. I cut some in half and others into thirds. 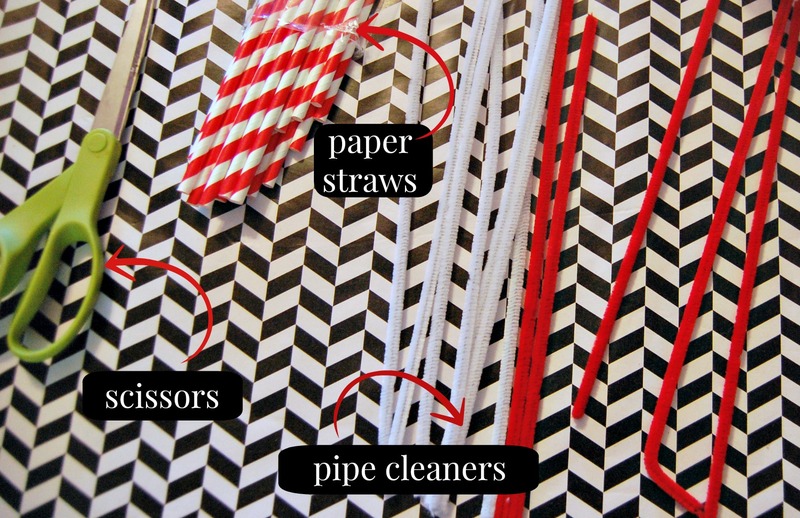 Grab a handful and stick them in the top of your paper straw. You can use glue if you want but the pressure of all of them crammed in there does a great job of securing them. And there you have it! 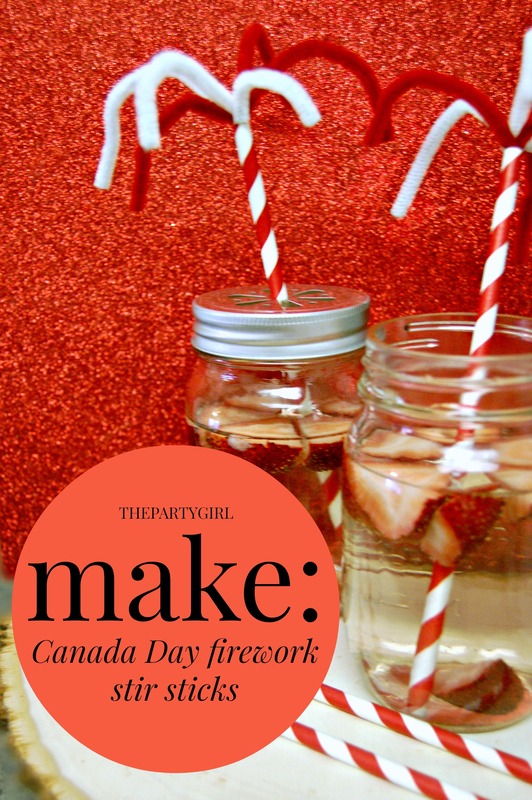 A five minute craft that will dress up your Canada Day drink table, AND stays true to the festivities.